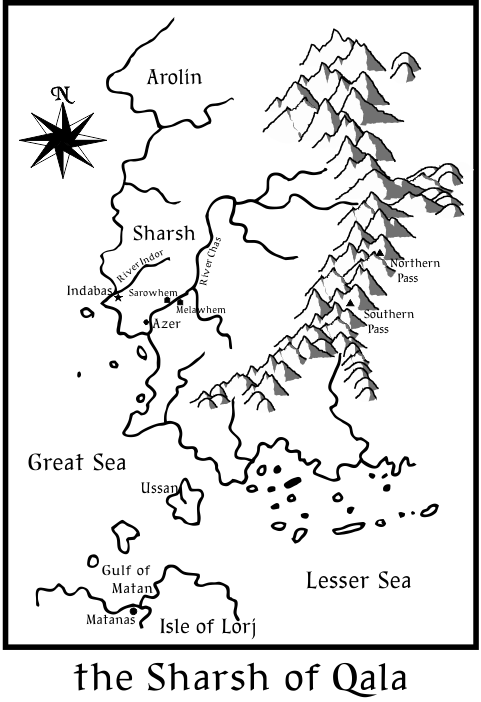 This is pretty much the same map used in THE EYES OF THE WIND, adapted to the new tale which takes place shortly after. Created essentially for use in the book and therefor kept simple and in B&W, I used Corel Draw (my graphics program of choice) to lay it out. I'll be uploading all the finalized (I hope!) files to the printer and distributor shortly, to have everything out and available by the official release date of June 3.